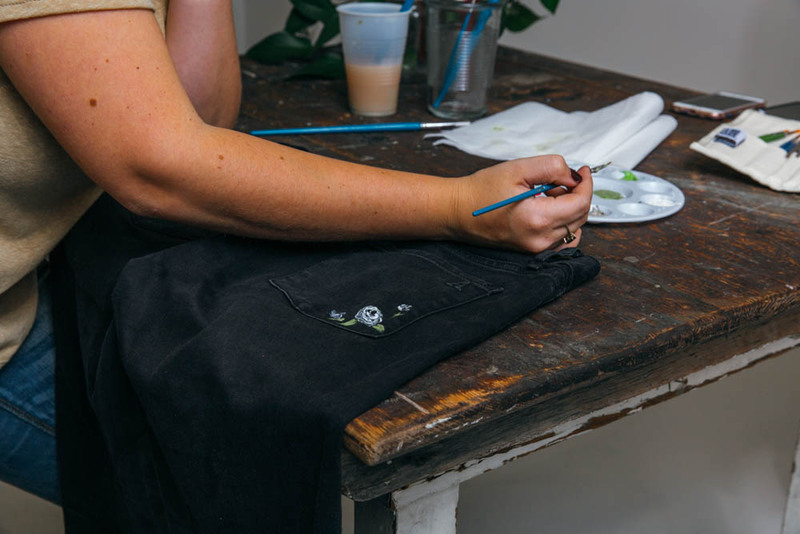 Everybody loves a good makeover, and time and time again we’ve learned that denim gets better with time. That is, unless we are talking about those dark jeans you’ve worn/washed roughly 178 times in the last two years. 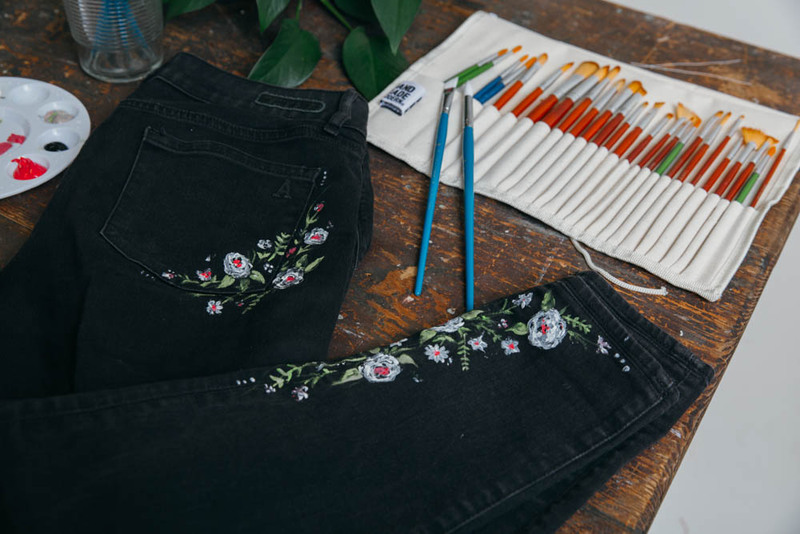 It’s time to breathe new life into those faded jeans that once stole your heart, and credit card. 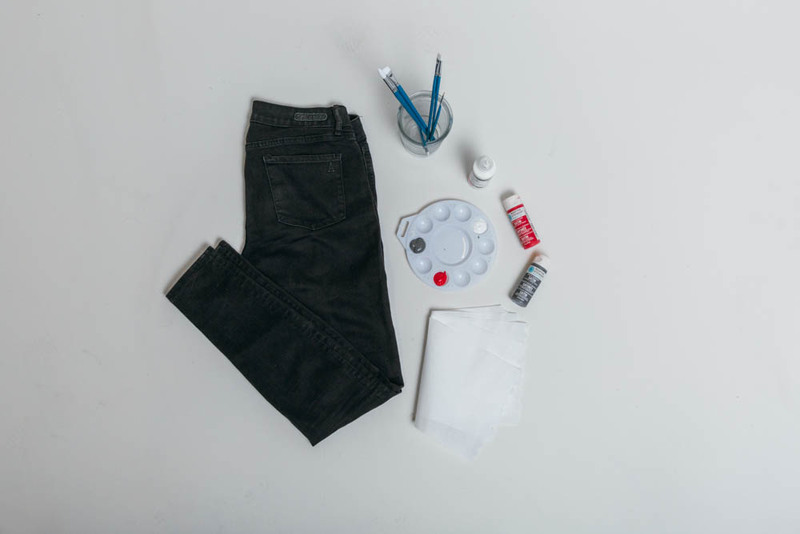 Before you dare dip that fine-tipped brush into ANY paint, find some inspiration. 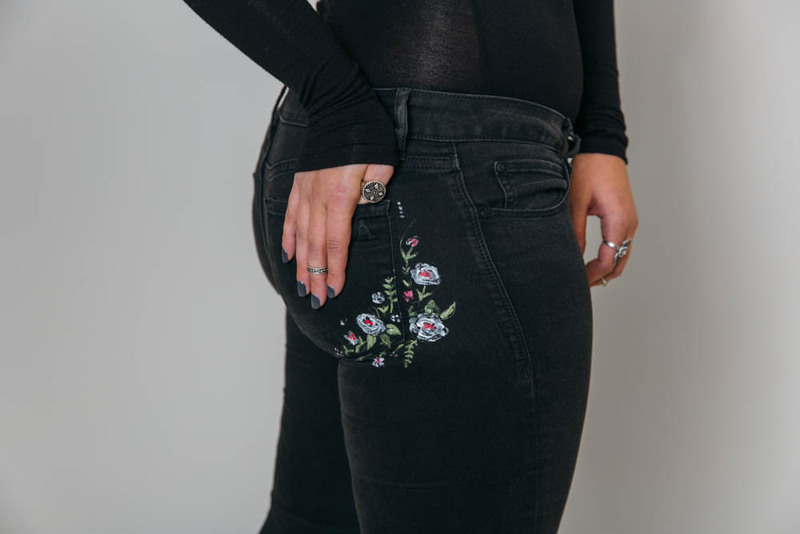 For us, we found the perfect floral on Pinterest because let’s be honest, all of our winter wardrobes could use a pop of color. 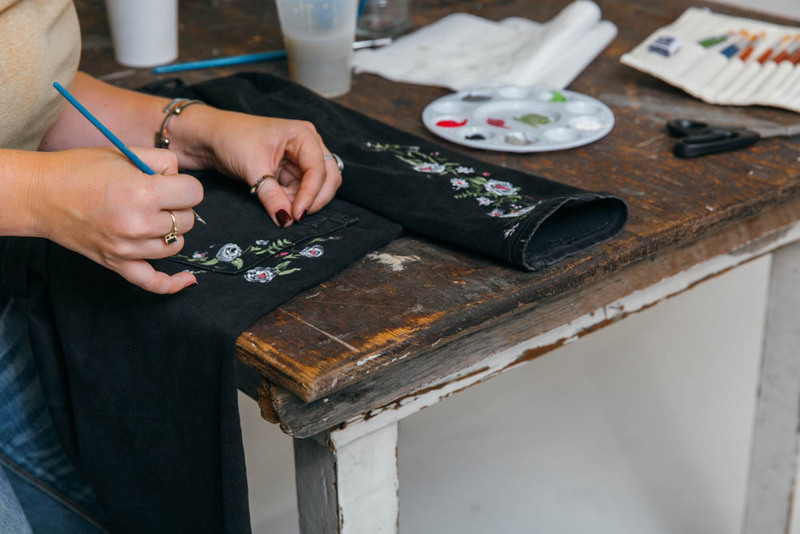 Now, time to sweet talk that friend of yours that can freehand paint like it’s their job and go to work. 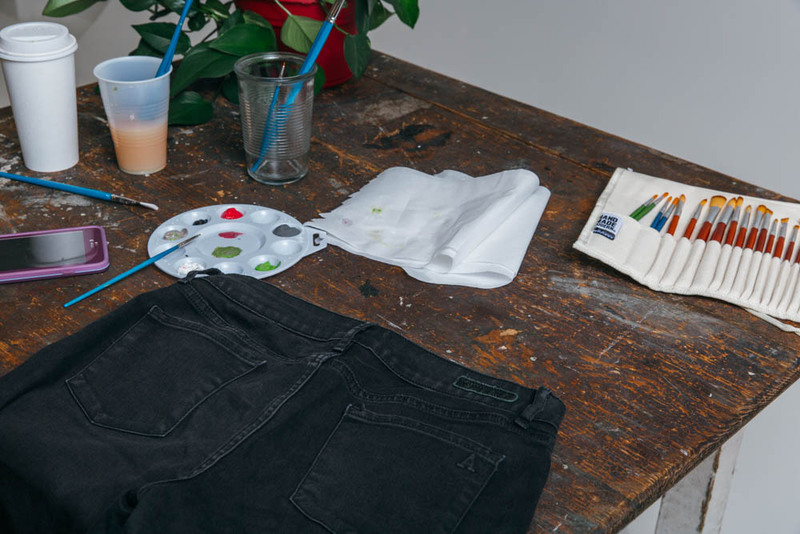 We had a lot of brighter colors in our palette, so we darkened them a bit by mixing in some grey. As far as placement, we looked to the hem and the opposite back pocket. 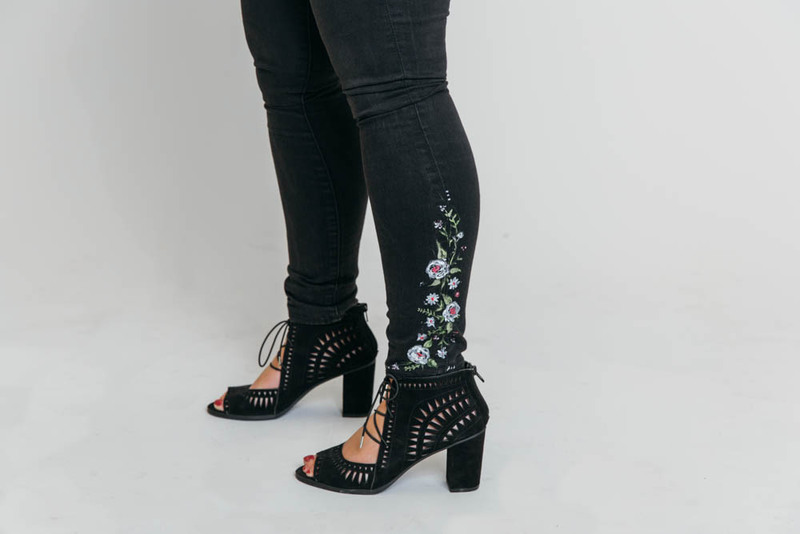 Then, regardless of how the jeans were styled, we would still be showing off that detailing. Heart-eyed emoji all over the place, are we right? Adding in a heel, but honestly a clean white sneaker could also monopolize on this look. We’re not telling you what to do… but.